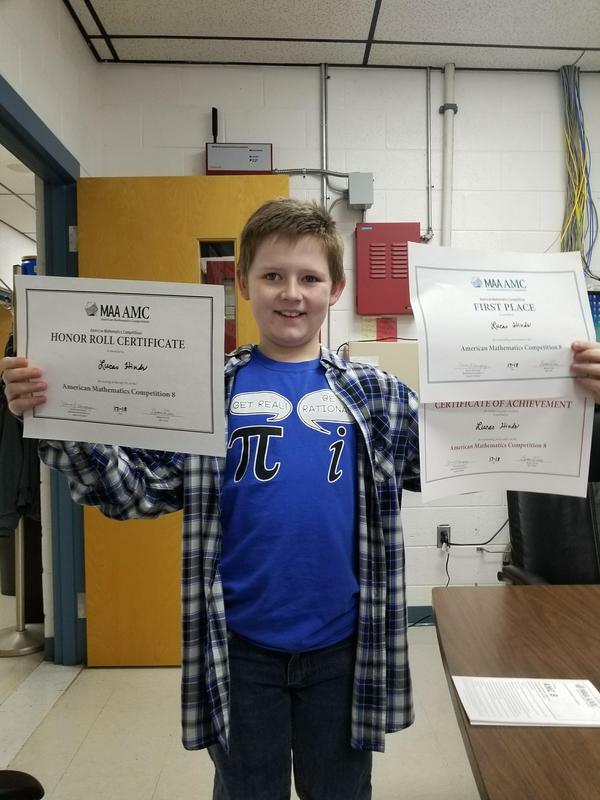 Lucas Hinds, a Kingston Elementary 5th grader, started the first math club at his school, as well as many other accomplishments, including high school math credits and short term goals of being a member of the USAMO. WVLT Channel 8 showcased his math skills as well as other interests, including his beekeeping. After Lucas held his first "Math Masters" club meeting, over 60 students expressed interest in joining. Thank you, Lucas, for sharing your talents and knowledge with us!